James Woodley Photography – What we can do for your brand! Have you been working on that hot body for months and are eager to show it to the world? Looking for a career in the fitness modeling industry and need some portfolio shots? Finally got the figure you want and need some proof in case it’s gone in the future?!? James Woodley Photography is taking Two Thirds off (that’s 66%! 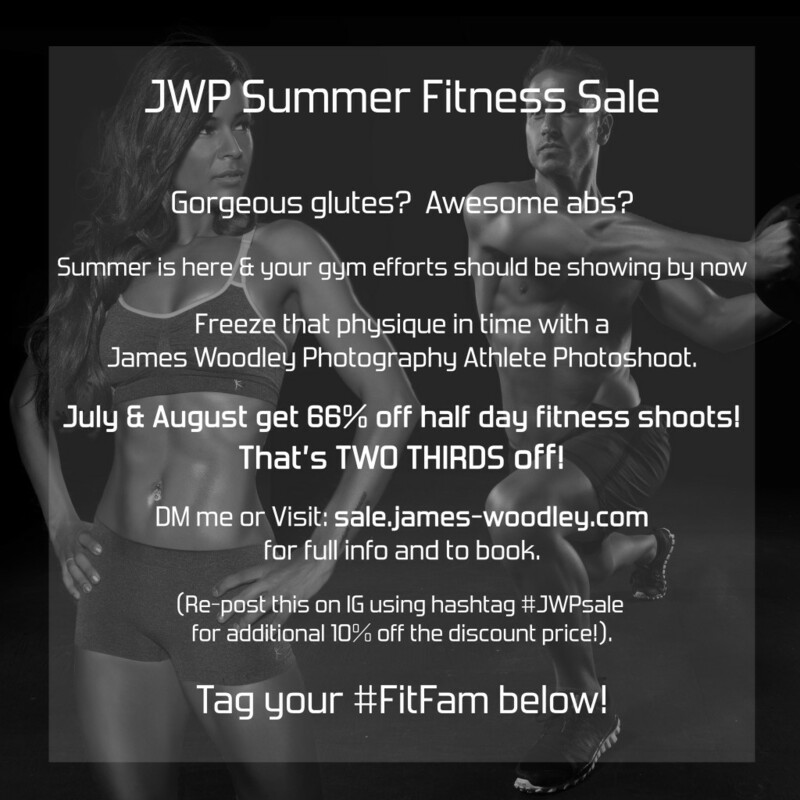 ), all half day, non-commercial sports and fitness photoshoots during July and August 2015. – Full professional setup on location or at your own home. (Studio space available if preferred). – Printing services available if needed. Copyright © 2019 James Woodley Photography Blog.